120A, 3-way jointing box for connecting battery cables and distributing power around a vehicle. Made from tough glass-filled nylon with a hinged lid that snaps shut and protects the terminals from accidental shorts. 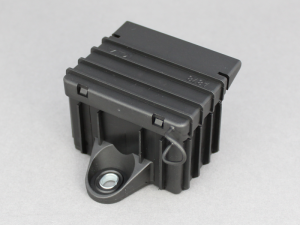 The 3 connection studs are 8mm diameter and are supplied with nyloc nuts to prevent them working loose under vibration. 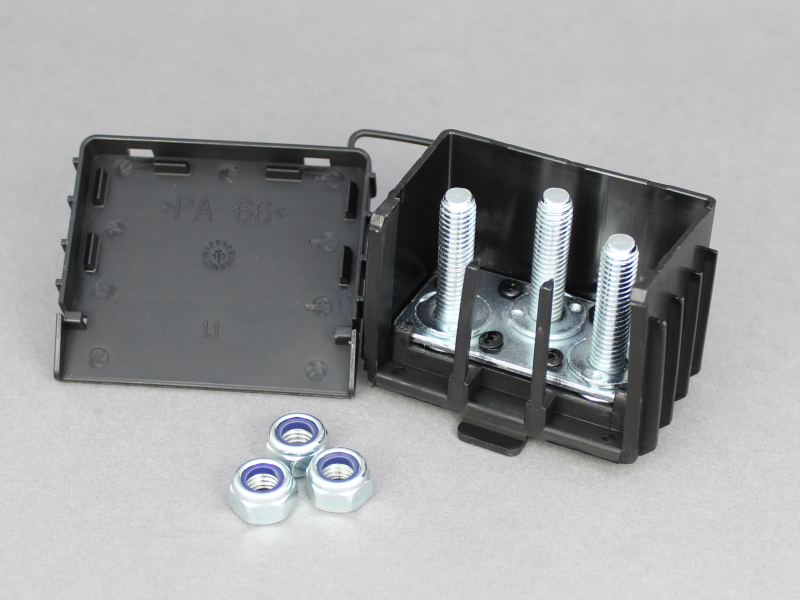 The box also has a mounting foot with a 6mm wide, metal lined slot. Overall dims: 70 (L) x 81 (W) x 52 (H) mm - includes mounting foot.